Ann I Am! : CLOSED!! Nothing but Trouble after Midnight Book GIVEAWAY! CLOSED!! 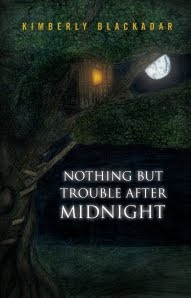 Nothing but Trouble after Midnight Book GIVEAWAY! Earlier this week, I was honored that, Kimberly Blackadar, author of Nothing but Trouble after Midnight, stopped by my blog as part of her blog tour. Today, I am excited to announce that Kimberly is sponsoring a giveaway on my blog. Up for grabs in this giveaway is an autographed copy of Nothing but Trouble after Midnight as well as a NBTAM coffee cup. Chloe Preston has the perfect teenage life: great friends, a full social calendar, and the ideal boyfriend. But perfect never stays that way. One night, Chloe’s life is shattered, and all she can hope for is that the memory will fade like a bad dream. But secret truths are dangerous, and Chloe discovers that keeping things hidden causes more harm than good—especially when the nightmare is real and comes back for more. Will Chloe find the strength to face the truth, or will she remain a victim of her own fears? Insightful and compelling, author Kimberly Blackadar’s Nothing but Trouble after Midnight is an unprecedented battle between true love and ill-fated circumstance. Giveaway is open to residents of the US only. Contest will end on Wednesday, March 31, 2010 at 11:59pm EST. A winner will be chosen using Random.org. Winner will receive a copy of Nothing but Trouble after Midnight and a coffee mug. Mandatory: You must FIRST leave a comment telling me what your all-time favorite book is. If that happens to be Nothing but Trouble after Midnight, you will get an extra entry. Subscribe to Kimberly Blackadar's blog at http://kimberlyblackadar.wordpress.com/ and leave a comment on her site and also leave a comment here letting me know you did. Become a fan of Kimberly Blackadar’s Facebook fan page. Leave a comment on her wall and a comment here telling me you did. Follow Kim on Twitter: www.twitter.com/kimblackadar and leave me a comment telling me so. Follow my blog on Google Friends (if you already do, leave a comment saying so). Vote for me (see button on the right). Enter another giveaway on my blog and let me know which one. Refer a friend. If they enter and say you told them to, I will give you an extra entry. Disclaimer: Thanks to Kimberly Blackadar for providing me with the opportunity to offer this giveaway item. I was not compensated in any manner for this post. Ann Crabs author assumes no liability for damages associated with any prizes awarded here or contents contained therein. 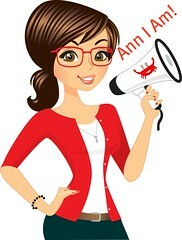 Prizes lost in the mail or those not delivered by sponsors are not the responsibility of Ann Crabs.. Giveaway sponsors are responsible for shipping prizes that are offered on Ann Crabs. Please allow 2-4 weeks for delivery of any prizes won. If you do not receive your item AFTER that time, please email me and I will follow up with them. I don't think I can tell you my favorite book...I have too many that I love. I just read Winter Garden by Kristin Hannah and I loved it. I just read Winter Garden by Kristin Hannah and I loved it. It is one of my favorite books. A Knight in Shining Armor is my fave. I'm not sure that I have an all time favorite but recently my favorite is Three by Ted Dekker. I subscribed to Kimberly's site and commented on one of her posts. I'm a Fan of Kimberly's on FB and left a comment on her wall. I signed up to follow Kimberly on twitter. I also entered your protect-a-bed giveaway. This book sounds really interesting! I hope I win! My favorite book of all time is actually a journal written by my great grandma about her life! My favorite book is White Oleander by Janet Fitch. My favorite book is usually the book I'm reading at the moment. Would love to read Kim's book. Entry for Bev: "Joined Kim's FaceBook Fan page and left a comment"
Entry for Bev: "Following you on Twitter and posted about the Book Giveaway. http://twitter.com/beverlymcclure"
My all time favorite book is A tale of two cites. It's a hard choice but this year I have to say the Sookie Series. I don't have a favorite book, but there are some that i reread frequently. Anything by Stephen King, Watership Down, Les Miserable. My all-time favorite book is Cleopatra's Daughter by Michelle Moran. I read a lot and have many favorites. I'll say Thorn Birds as it made an impression on me at a young age. Thanks for the wonderful giveaway. My very favorite book ever is a very old book by Jane Goodall called In the Shadow of Man. My fave book is Lord of the Rings. I follow on Google Friend. Thanks! My favorite book is The Scarlet Letter. My teenagers think I'm nuts!! Thanks. Hi Ann! Glad you did a Gather post so I could stop by today! I'd have to say my favorite book is Women Who Run With the Wolves by Clarissa Pinkola Estes. I just commented on Kimberly's blog and subscribed to her email notifications of new posts! My favorite all time book is Gone With The wind. I entered the Giveaway: Jockey Tech Terry Sports Bra and Purex Crystals Tropical Splash. Never Mind ha ha. Way old giveaway. Oops. My brain is goo.